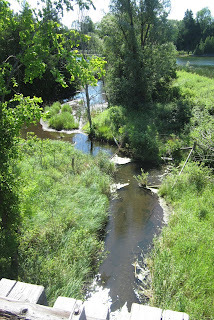 My husband and I biked another 20kms this Saturday along the Caledon Rail Trail. This time, we biked from Caledon East to Palgrave. 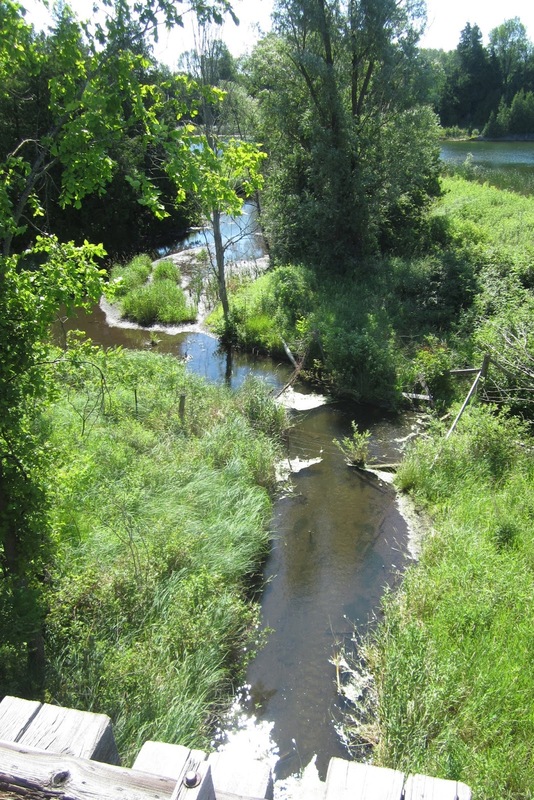 Every section of the trail is not only lovely, but also has its own unique characteristics. The special feature of this particular part of the trail is that it has one of the few benches on the entire 36kms of the linear park. If you time it right, you can reach the designated stone slab about 12:00pm, just in time for lunch. I like to think of the spot as nature's Bistro. 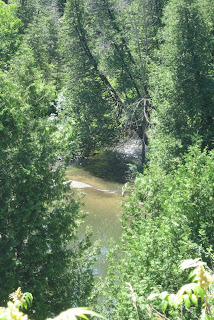 Perched on top of a small cliff, our favourite "table" overlooks the credit river, which flows, at this point, through a broad valley directly below us. As the trail was a little busier than usual, we could nod and chat with the few people who passed by - a bit like being in a friendly restaurant. Also, did I mention the flowers? They were everywhere. I couldn't imagine a prettier spot for a picnic of tuna sandwiches, seasoned with dill from the garden and cherries, which in another year might have come from our own cherry tree. 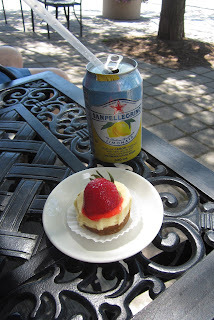 We really didn't need dessert, but Caledon East has a lovely little bakery. After we had biked back to the car, I left my husband to chose a pastry, while I chose a table outside, on the main street. It was a little busier than our table in the park, but it was interesting to watch the river of cars, go by.